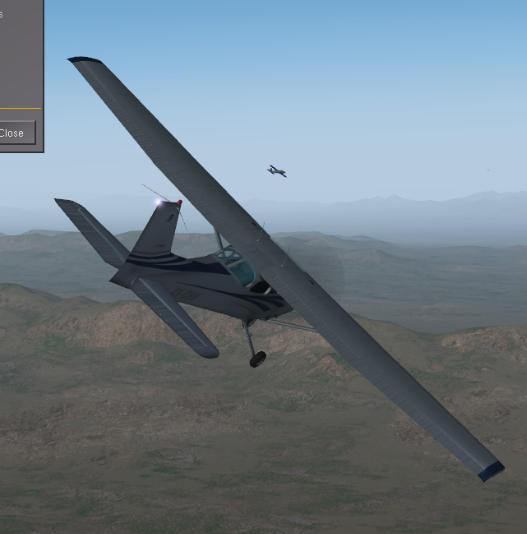 I has worked fine in the past, but in 2019.1 it does not show the models of the flying aircraft, only gliders. Anyone has any ideas, could it be related to the new LOD system, or did I do some mistake in coding it? Do any non-gliders have blinking lights? 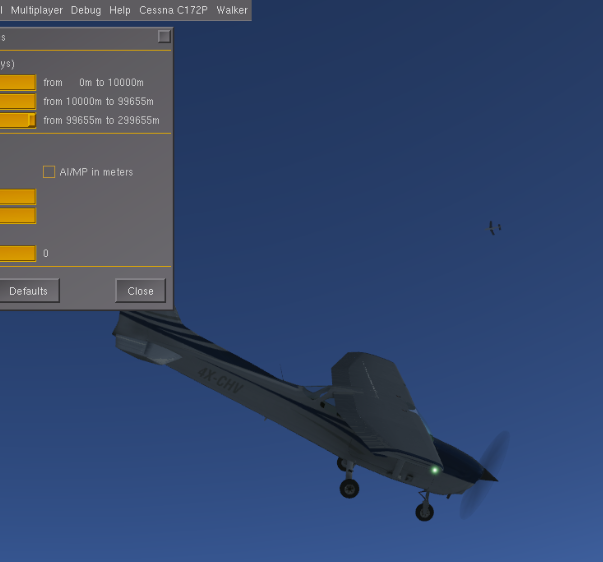 By changing LOD settings I saw at least a few aircraft and one of them had blinking lights. No gliders dont have blinking lights, hmm seems it works for you but not for me.. 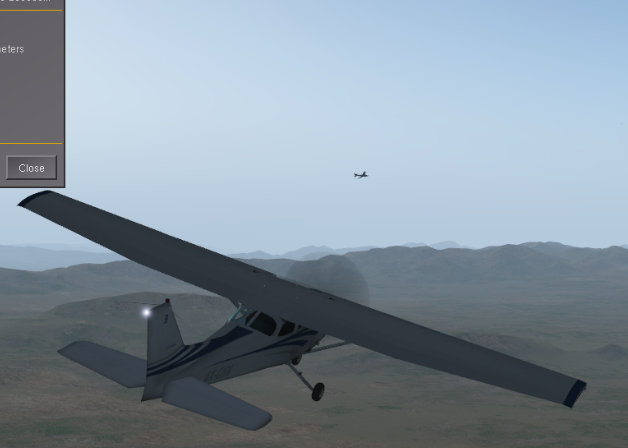 I set LOD to "high detail only" and I saw at lest 5 at the upper altitude and at least 3 at the lower altitude. Maybe you can tell if these are any of the ones you think you are not seeing. These are some of the lower altitude aircraft, not the 5+ at the higher altitude. None of these are the one that was blinking in the previous session. All those 5 looks to be only blue gliders, so you have same problem as me. So is the issue that they shouldn't be the blue glider but an actual AI model then? Meaning the aircraft is showing up but not the correct model, it can't find the model. Maybe the one I saw with the blinking lights was a regular system traffic aircraft. I remember seeing in the dev list Richard just patched something that sounded similar to this. Within the last week or so maybe?